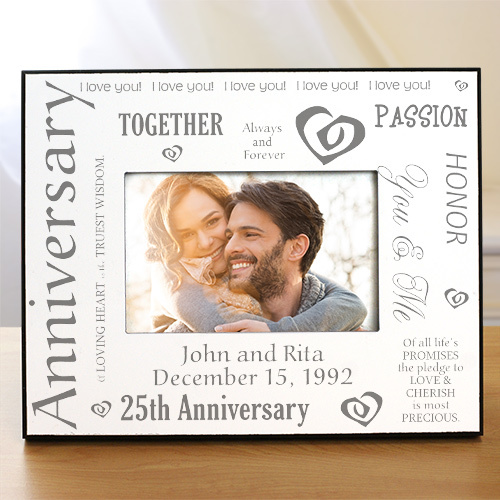 To celebrate many years of cherished marriage, Our Silver Anniversary Printed Frame will portray such a loving and passionate relationship. 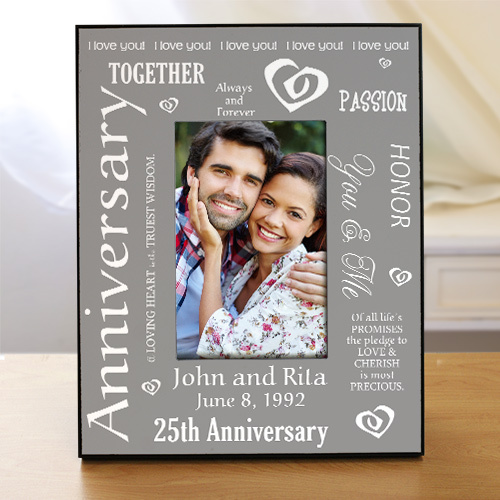 This 25th Anniversary Frame may be personalized with any couple's names and anniversary date. Date will be added underneath names. Please specify background color and orientation. For such a big milestone in a marriage, these Customized Picture Frames will be sure to stick around for years to come. I love personalized gifts and the quality and price of your products are top notch! Very impressed - better quality than I expected! Additional Details Shop more Anniversary Gifts to find the perfect way to honor your commitment for each other.